This is a course designed to train you to prepare for real life street situations. You'll learn some great "down and dirty" tactics that will allow you to defend yourself and your family against those who may harm you. The third of our Self-Defense series, featuring Guy "Ziggy" de Ro and Mark Shuey Jr., this video focuses on self-defense techniques using a wide variety of wood "tools", such as dan-bongs, escrima sticks, hiking staffs and Ziggy's "little helpers". Use your imagination and implement the techniques shown with other items such as a pen, folding umbrella or rolled up newspaper. In addition, Grandmaster Mark Shuey Sr. offers a guide to the tools shown as well as hints on proper maintenance of your wood canes, sticks and staffs. 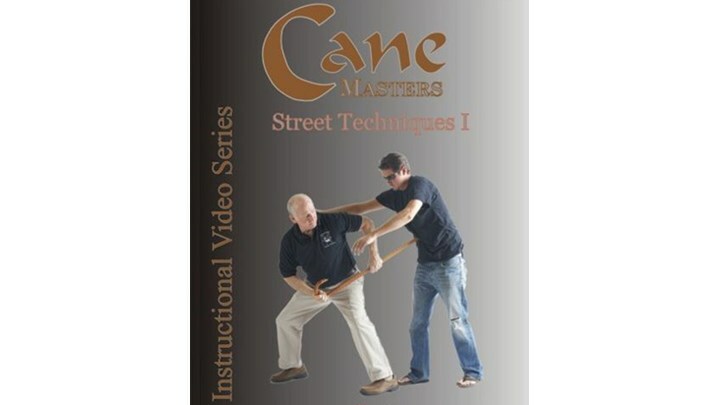 In this our 5th Edition of Street Defense using the cane, we focus on techniques versus a knife or gun.